Do your doors need adjusting? Are they not opening or closing easily? Need help learning how to shim your door? 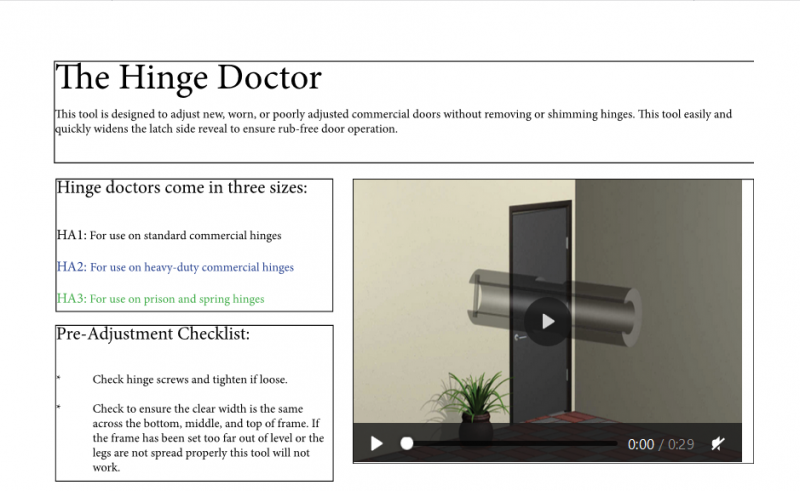 Check out this helpful instruction sheet on how the Hinge Doctor tool can easily solve your problems. Stop in to pick up your Hinge Doctor today!